The Night Circus is one of those books that got so much hype before it was released that I wasn't sure I should read it right away. All that hype makes me reluctant (cf. Freedom). But then it was released on my birthday, and I thought why not add it to my birthday wishlist of books. The premise sounded oh-so unique; "The circus arrives without warning. No announcements precede it, no paper notices on downtown posts or billboards, no mentions or advertisements in local newspapers. It is simply there, when yesterday it was not... Within hours everyone in town has heard about it... It's impressive and unusual news, the sudden appearance of a mystery circus." I've heard people say that if you chose to read one book this year, you should read The Night Circus. Well, I wouldn't go that far, but I will say this is a highly entertaining literary work of magical realism. (I'll also say you should read more than one book this year, loser.) I don't want to give too much away because part of the fun of this novel is not knowing exactly where it will take you. It's meandering and enchanting, suspenseful and dark. The non-linear structure and precise language work to build anticipation toward a complex and wonderfully imaginative ending. Not only is this a fun and unique read, but it also speaks to something greater about mankind; the circus "rêveurs" represent our proclivity to dream as a way to escape the monotony of daily life in exchange for adventure and enchantment. It also examines our fears and hesitations with the unfamiliar, our tendencies to take for granted the magic that exists in the world around us and dismiss the things we don't understand. This is not magic. This is the way the world is, only very few people take the time to stop and note it. Look around you, he says, waving a hand at the surrounding tables. Not a one of them even has an inkling of the things that are possible in this world, and what's worse is that none of them would listen if you attempted to enlighten them. They want to believe that magic is nothing but clever deception, because to think it real would keep them up at night, afraid of their own existence. Morgenstern's descriptions of the night circus go beyond imaginative; they are beautiful portrayals of a mesmerizing world. From the ice garden to the wishing tree, the cloud maze and the pool of tears, Morgenstren truly paints a memorable picture with her prose. 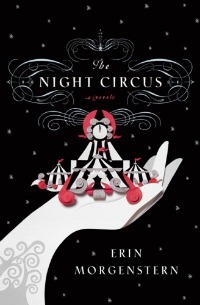 If you are looking for something unique that offers a balance of enchantment, romance and mystery, you've got to read The Night Circus. Nice review, Brenna - this type of novel is definitely not something I'd normally read, but I'm obviously intrigued by all the hype. I love the idea of "meandering and enchanting, suspenseful and dark." That's really well said. And, yes, if you only read one book a year, you are a loser. No question. "I've heard people say that if you chose to read one book this year, you should read The Night Circus. Well, I wouldn't go that far, but I will say this is a highly entertaining literary work of magical realism. (I'll also say you should read more than one book this year, loser.)" First: ahahahaha. Second: I totally agree. I don't think it's a GREAT book, but I think it's really good. It's enjoyable and imaginative, but it's not like it strikes at the heart of the human experience or something. Greg, Thank you! I hope you pick it up, I'd be interested to read a man's take on it. Alice, Hehe I thought that was clever ;) Glad you agree and I think your comment is well put. I just finished The Night Circus and am working on my review. I'm glad you liked it. I did, too. I recently finished this and reviewed it and thought the excessive details were just too much for me. I thought it was way too detailed. It perfectly set up the mood and the atmosphere, but I thought the actual story itself lacked. Unfortunately I gave it 2 stars for my own review. I am glad you liked it more than I did though. Hmmmmm.... You're pushing me slightly towards the "reading" side of the fence. I'm going to start this soon- excited! Also, love your "you should read more than one book this year loser!" Because, yeah, obviously! I got in a mood with Glamour magazine yesterday for saying "hey, it's ok to feel like finishing a hardback is the biggest achievement of your life"- I was like, try one a week or something, then I'll be impressed. Also, I really just shouldn't read Glamour! I've heard a few male perspectives on this book and they were each overwhelmingly positive. I did see, however, on Goodreads that some of the readers didn't really like The Night Circus. I suppose I can understand why. At least I guess I can. I loved it myself. Also, I loved your thoughts on it. It's a brilliantly written book. A brilliant premise. A brilliant cover. Great total package, in my opinion. (I'll also say you should read more than one book this year, loser.) -- loved this -- I sputtered water everywhere! Will I even be able to post a review of this book after reading yours? Not quite sure. Really. Thanks, Brenna. 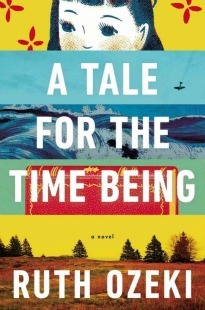 I finished last night and still am not quite sure what to think about it. I enjoyed the magical element and the enchanting mood it produced, but the story just left me unfulfilled. Perhaps I'm in the minority on this one, but I felt like maybe I had missed a lot when the story came to a close. Great review.. as always! Brenna, Perhaps 3 stars was a little low. I did enjoy the read and the atmosphere was just incredible. However, the character development was so lacking that I found the romantic aspect almost laughable. I felt like the ending was rushed and I was never clear what exactly had occurred. It's certainly a great debut - I only wish I could create an atmosphere of such luxury. I just thought the wrapped up ending a little - oh, god, did that really just happen?! I liked it but did NOT love it. I find your opinion to be highly respectable, so now I am extra excited to read this book. I thought that the premise sounded so lovely, so I was drawn to it even though it might not be something that I would normally like.